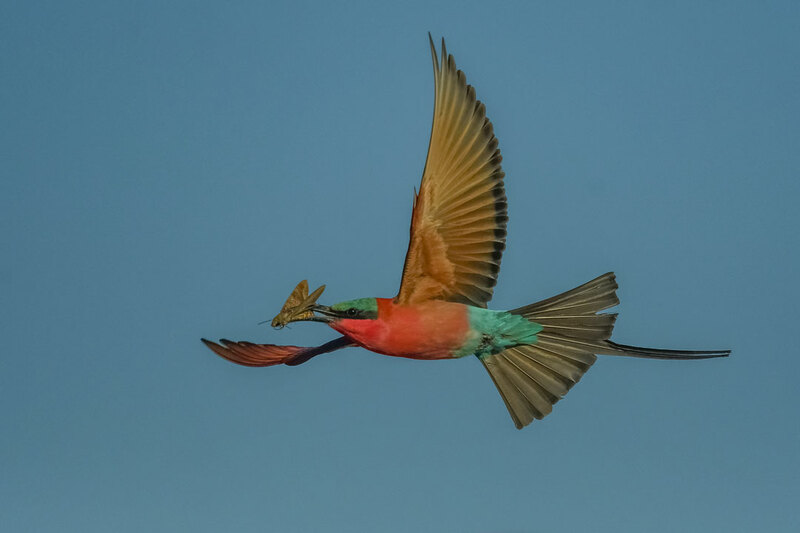 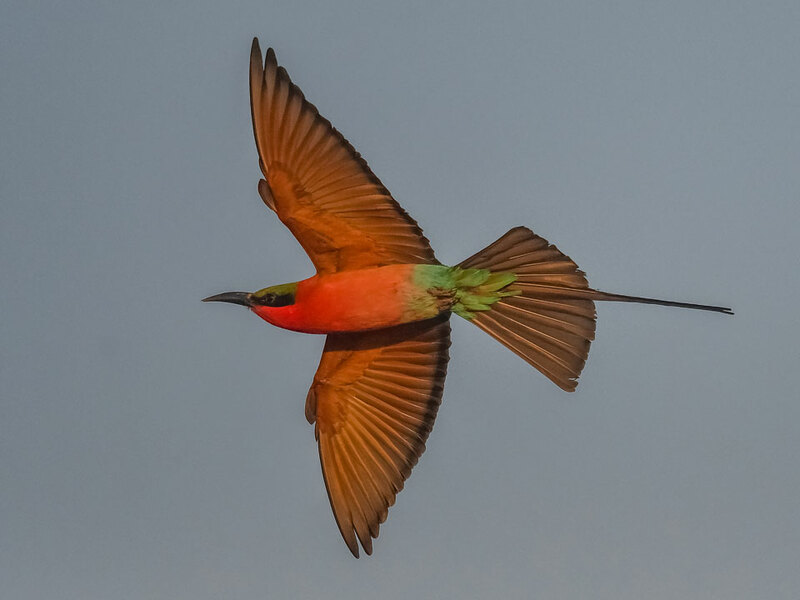 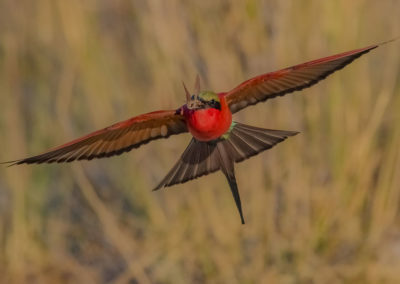 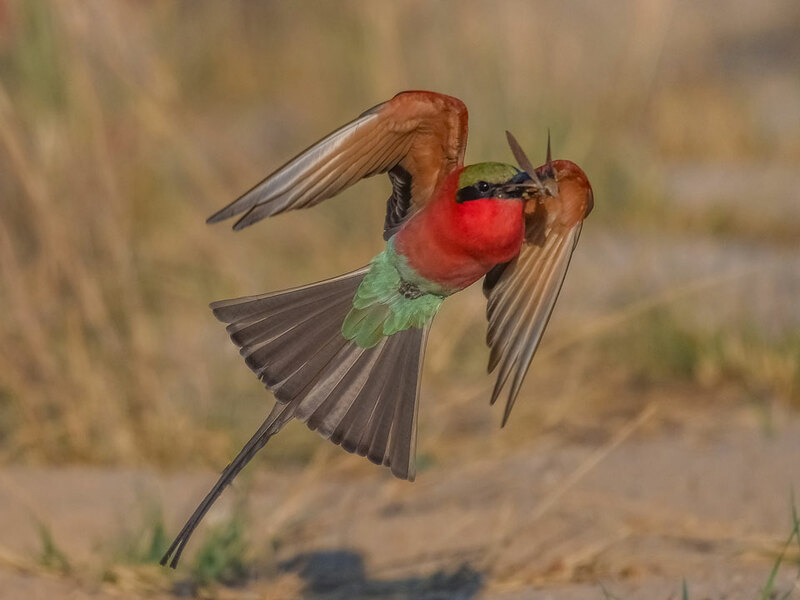 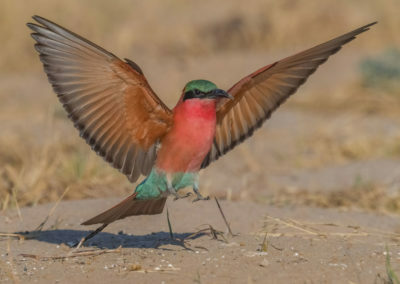 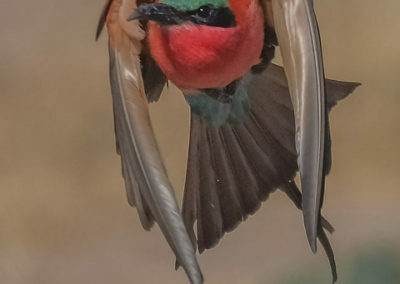 Our Kalizo Photographic Safaris give you the opportunity to get up close and personal with Carmine Bee Eaters. 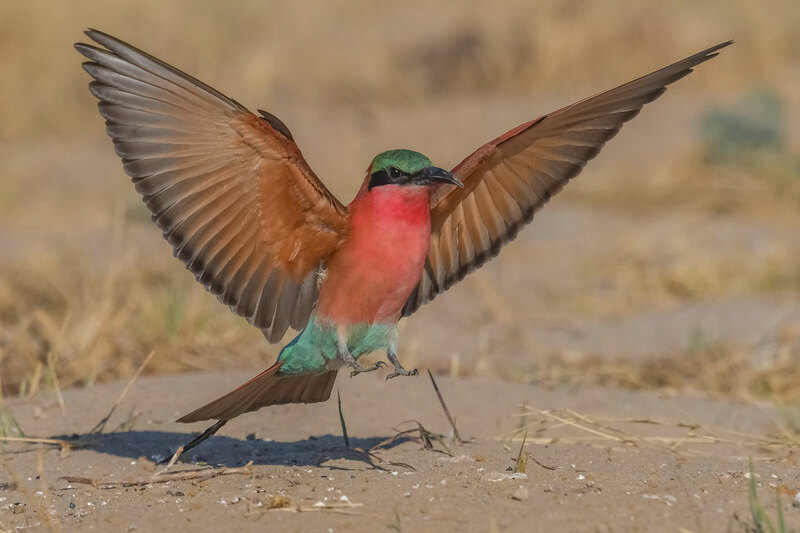 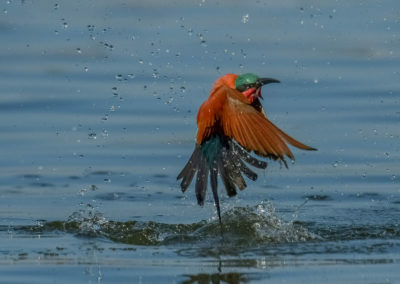 If your photographic passion is bird photography, our Kalizo Photographic Safaris combined with our 5 night Chobe, Botswana photo safari will very rarely be beaten. 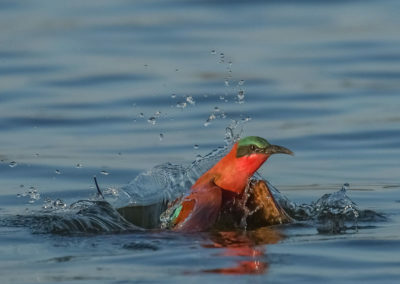 With more than 480 different bird species, this is definitely the destination for every bird photographer. 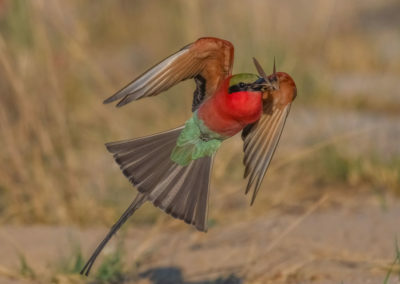 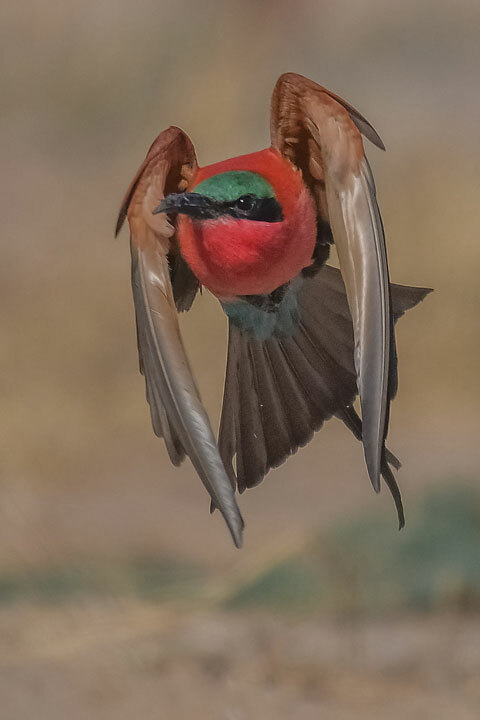 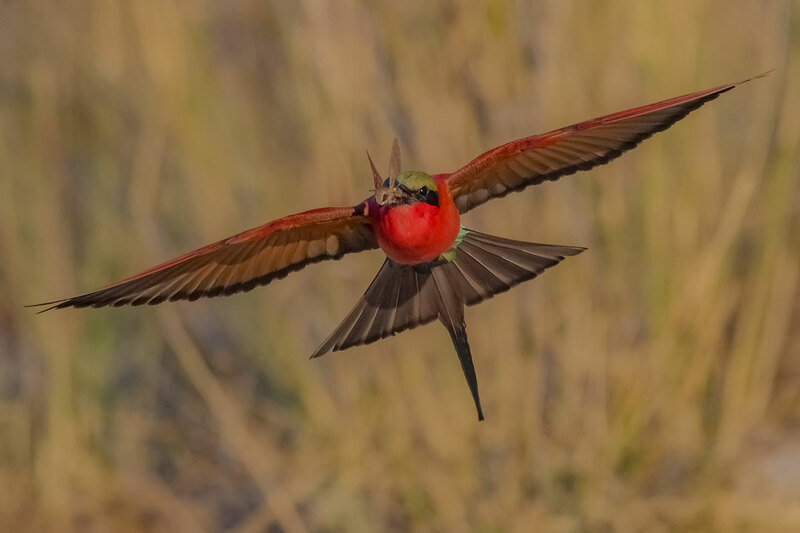 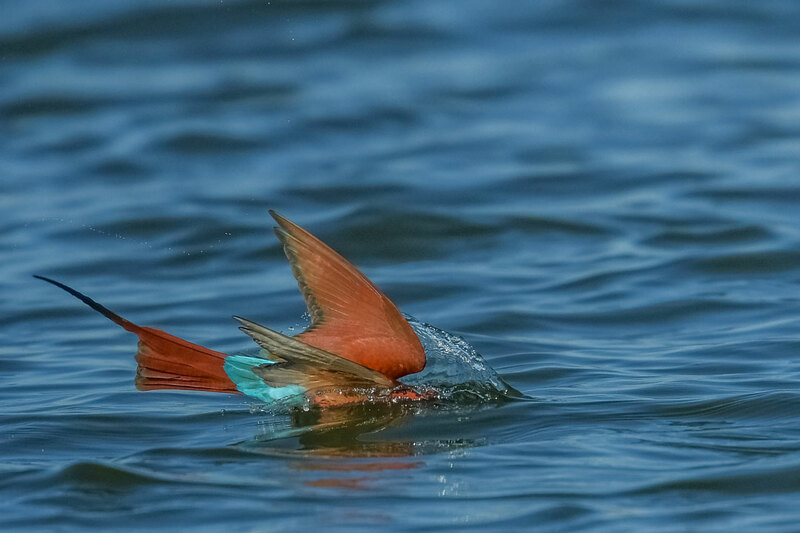 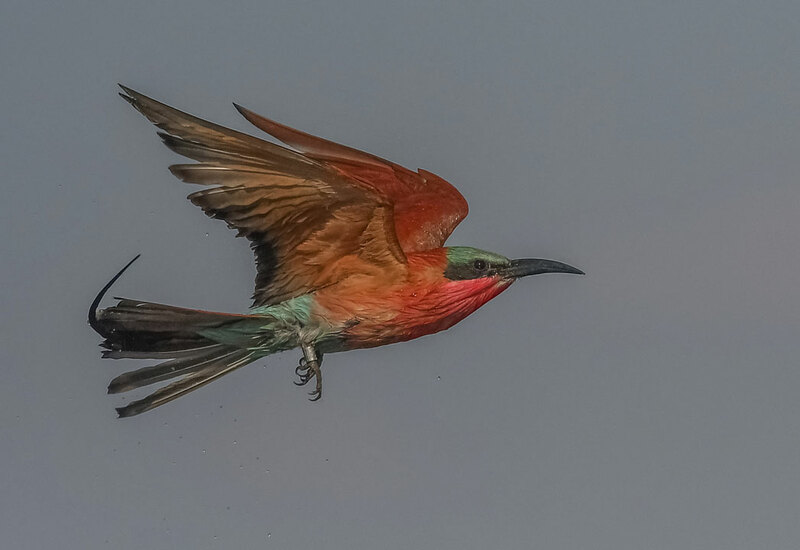 Words cannot describe the world-class photographic opportunities for passionate Bird Photographers created by thousands of nesting Carmine Bee Eaters. 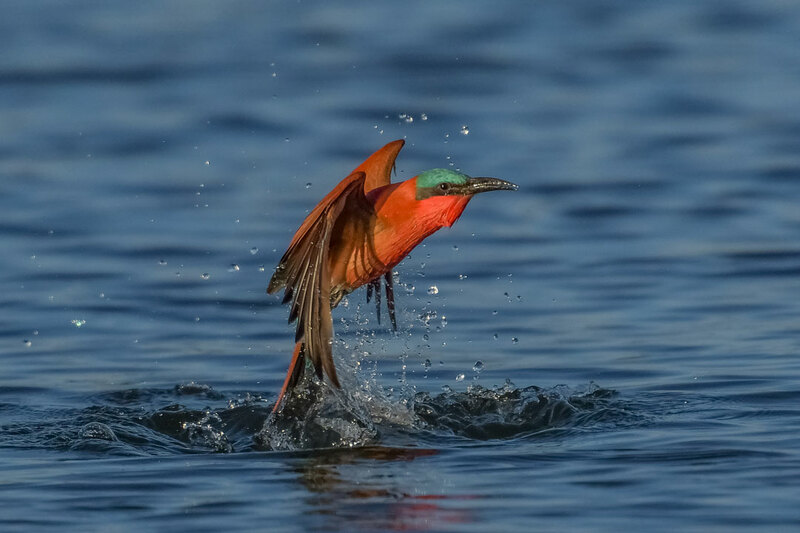 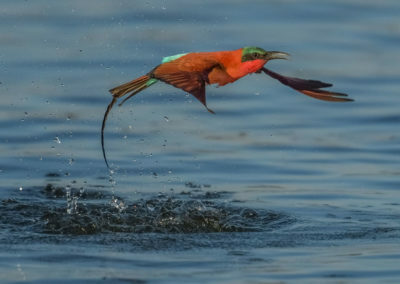 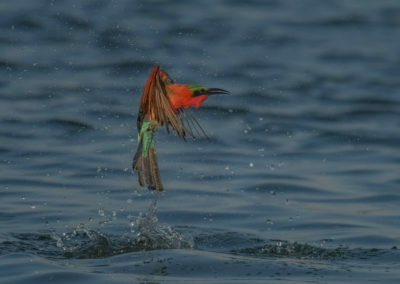 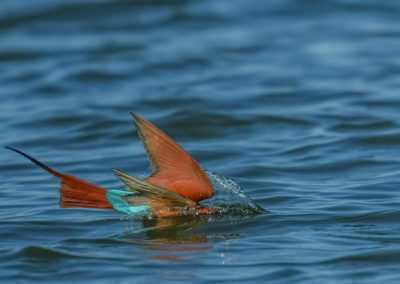 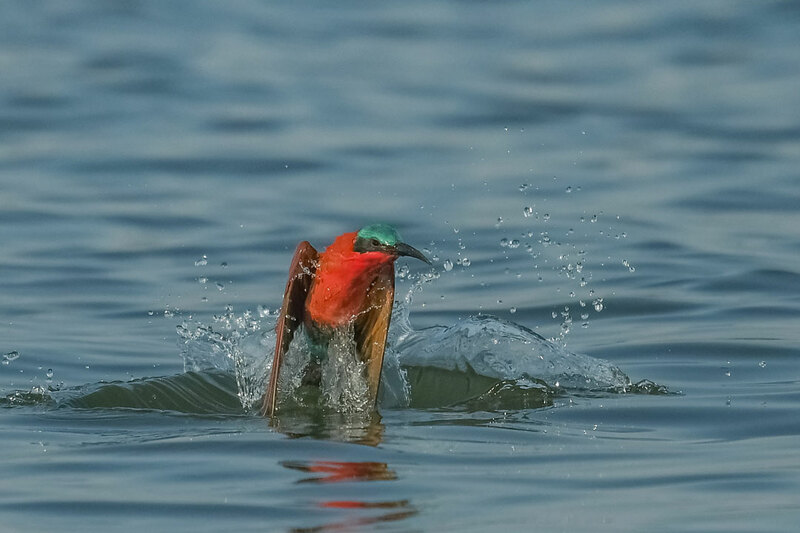 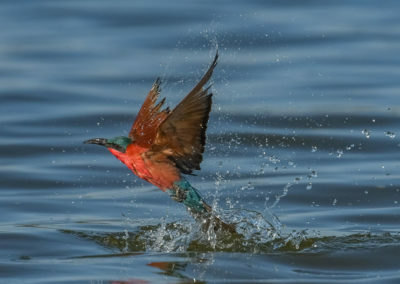 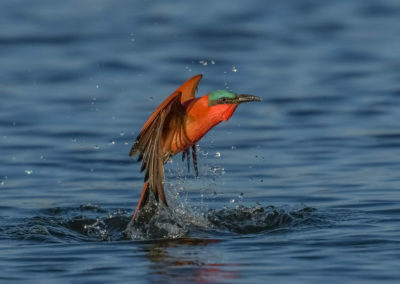 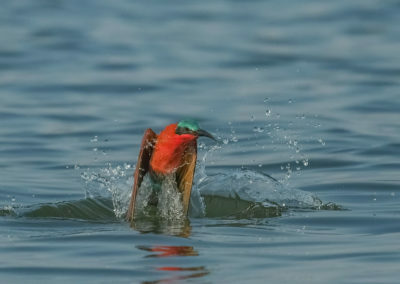 Birds dip into the cool waters of the Zambezi River for a drink, and swiftly catch insects and bring it to their nests that are only a few meters away from the photographers, while their territorial fights normally start on the ground to be continued as real battles against a blue African sky. 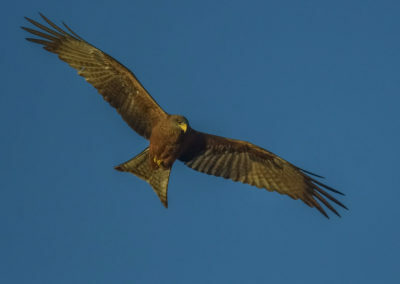 All of this under the constant threat of different birds of prey looking for their next meal. 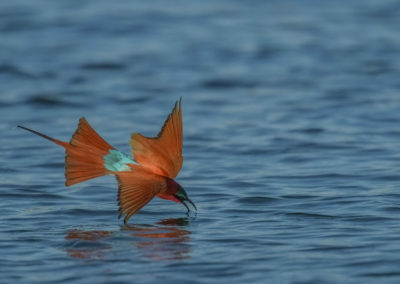 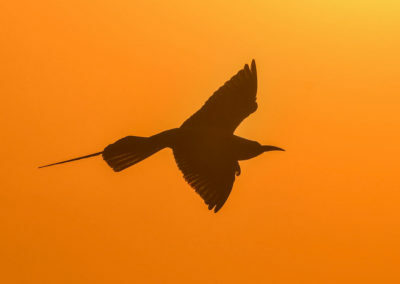 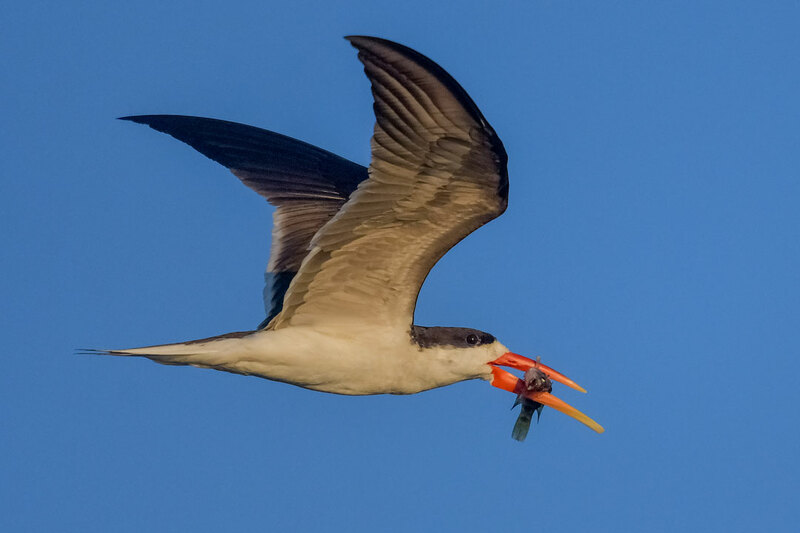 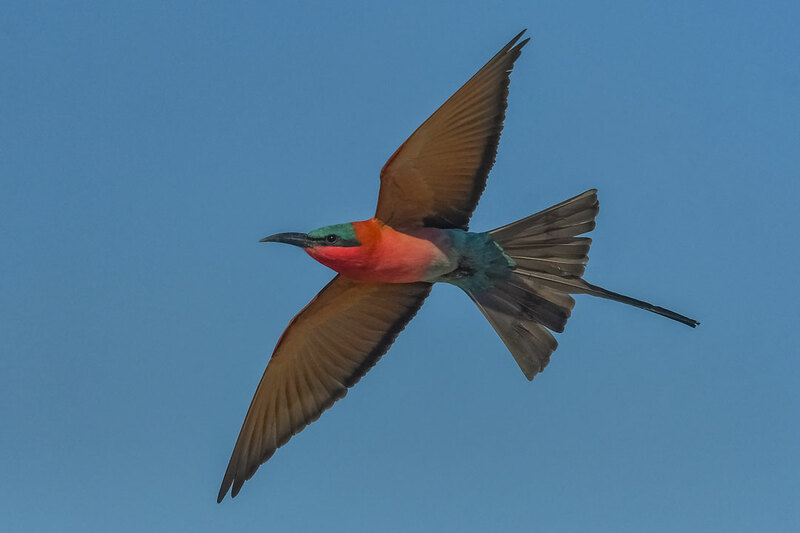 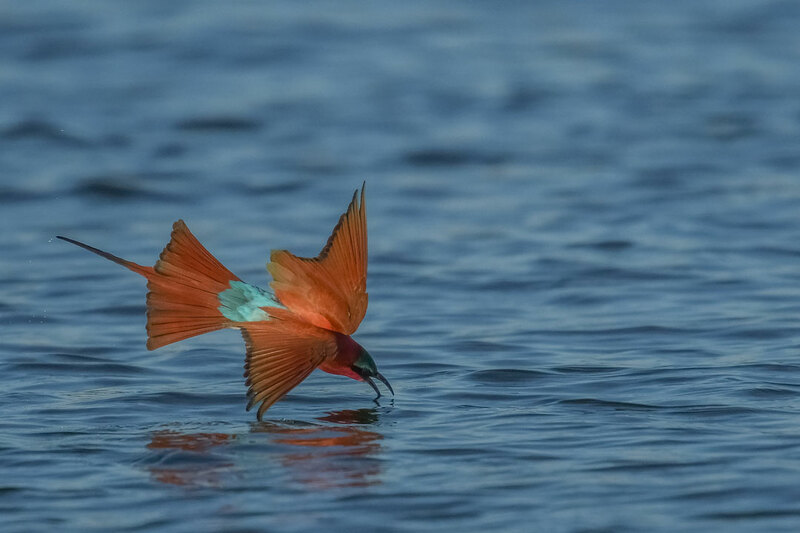 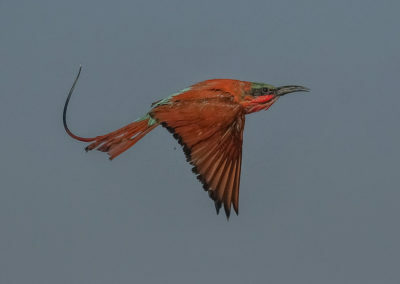 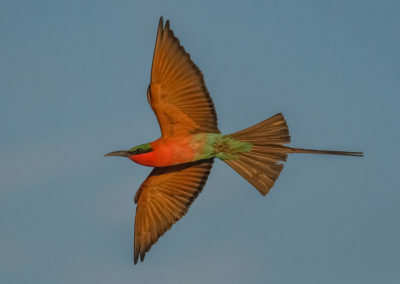 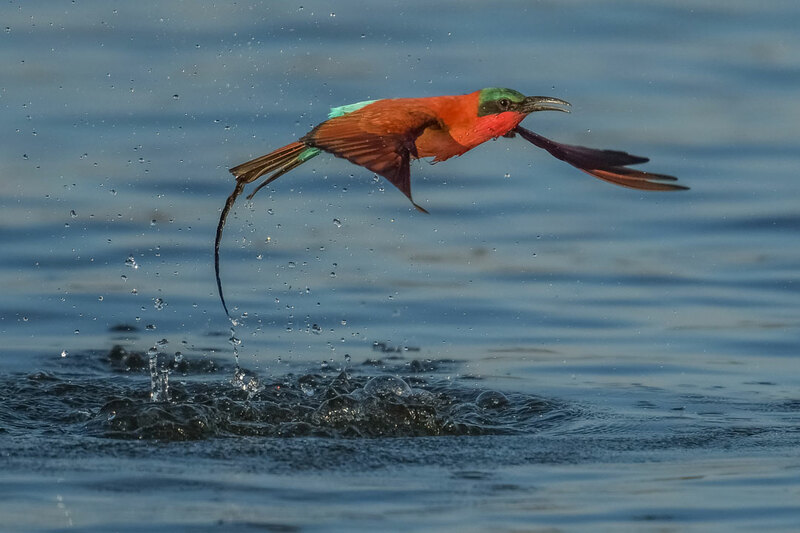 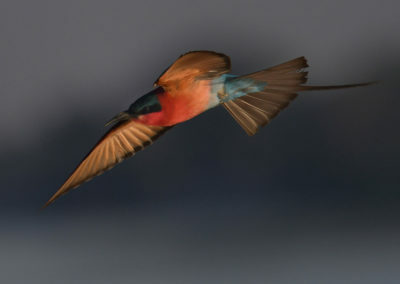 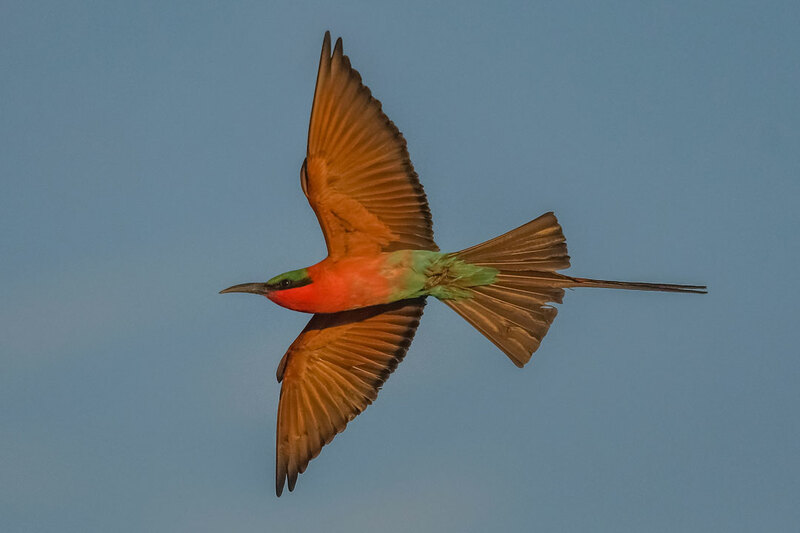 What is more they share the Zambezi sky with around 480 other bird species. 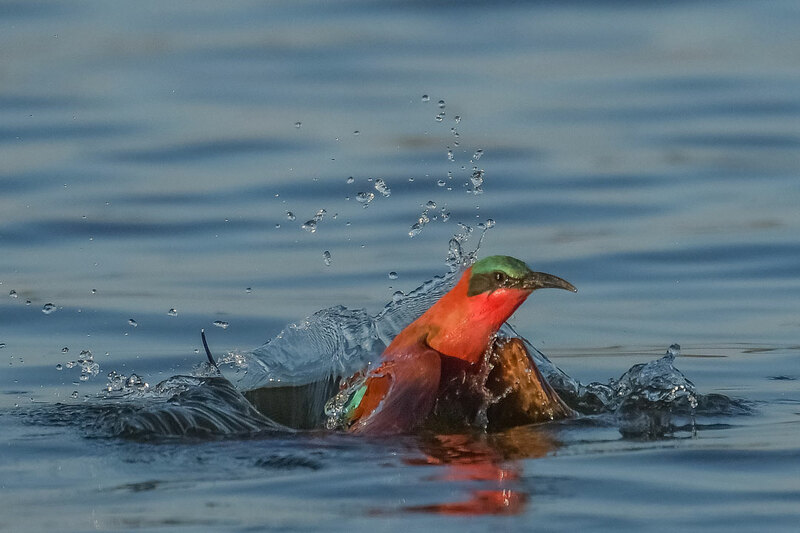 The best way to obtain the water based images is from a CNP Specialised Photography boat with all the land nests within a short walking distance. 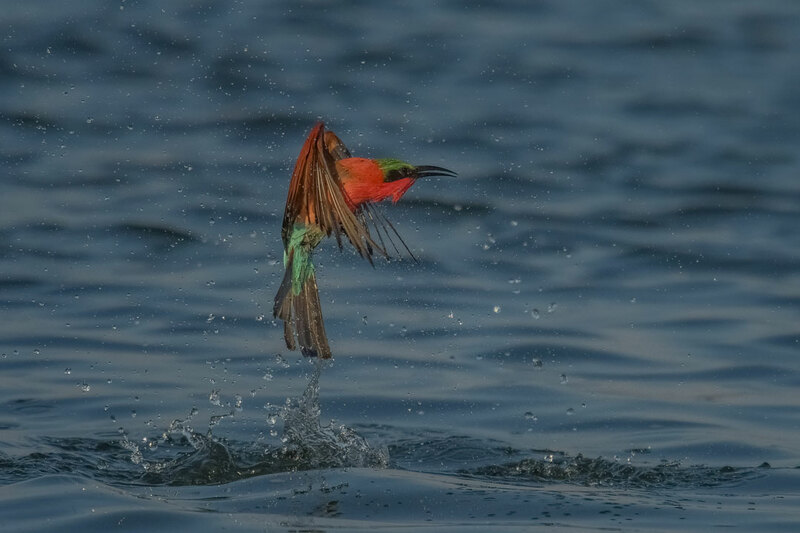 Complete the form below for more information on how you can extend your Chobe Photo Safari with our Kalizo Add-On package.